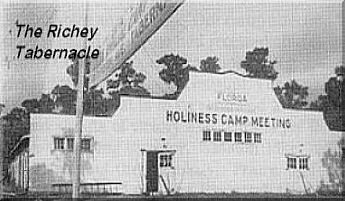 The Florida Holiness Camp Grounds, Inc. was founded in 1925. A group of Florida holiness people led by Fred Trimble met for prayer during a 1925 camp meeting in Georgia. Rev. H.H. McAfee led the prayer meeting. Brother Trimble challenged them to consider starting a camp meeting in Florida, in the winter instead of summer. The proposal was met with enthusiasm. A committee was formed to investigate the possibilities. In October of that year the committee met in a hotel in Orlando to establish the association. They gave it the name Florida Holiness Camp Ground, Inc. The committee decided to hold their first camp meeting in February of 1926. In December they rented with an option to purchase, a 55 acre property in Long Lake, just North of Orlando, for use as the the first meeting site. Dr. HC. Morrison was slated as the first speaker for the new Florida holiness camp meeting services. The meetings were held from February 11-21, 1926. The second camp meeting was held in February of 1927 at the same site. The purchase of the Long Lake property never took place, because the great depression hit. Other sites were discussed and investigated. The huge tent they had purchased and used for the meetings had met it demise by the wind. The next two years the camp meeting was held in the Orlando City auditorium on the fair grounds. 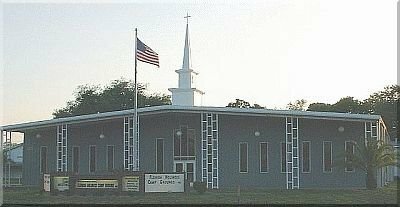 In 1929 a possible new place for the camp meeting was found -- Orange Camp Ground, De Land, FL. To raise the necessary funds for the down payment lots thirty by fifty-five foot were made available for lease at $10 per year. Existing cottages were sold for $200 to $500 each. However, due mainly to the depression, not enough funds were raised for the down payment which was due on December 15, 1929. But true to God's way of doing things, another possible site became available, in Lakeland, Florida. 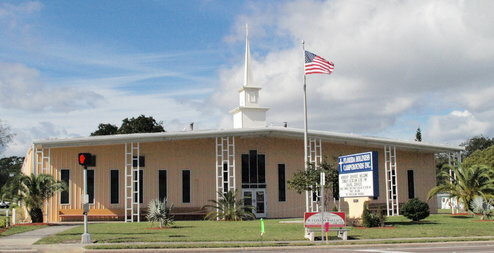 An evangelist by the name of Raymond T. Richey, from Houston, Texas, had built a tabernacle in Lakeland, Florida at which he held annual evangelistic crusades. The property contained a large meeting tabernacle, a dining hall and dormitory. It was made known that Rev. Richey had a debt of $900.00 on the property which he was not able to pay. He placed the property up for sale. The new camp ground was located 3 miles south of downtown Lakeland, on a dirt road. It was surrounded by citrus groves and strawberry patches; not a restaurant, gas station, or store in sight. It was a tranquil setting for God's people to gather for worship and to rejoice in His wonderful provisions of grace found in Jesus Christ. Over the years more property was purchased, buildings erected for housing, lots for travel trailers and single dwelling "house" trailers were added. 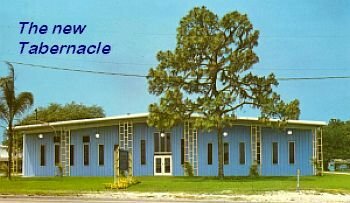 In 1974 a brand new tabernacle was built, replacing the Richey Tabernacle. The new tabernacle was much larger, could accommodate offices, and be sectioned off for use as smaller chapel space. By the year 2003, the area surrounding the camp ground has certainly been modernized with a paved highway, restaurants, modern homes, businesses, etc., Even so, the camp ground still remains a place for God's people to gather for worship and to rejoice in God's unchanging truth and nature.